Education, one of the industries most resistant to change, can severely benefit from technological innovation. Educational Technology (EdTech) has become one of the most popular sectors in Silicon Valley and beyond. It has been gaining recognition partially due to the fact that money has been pouring into it from multiple sources. In the first half of 2015 alone, private investors poured $2.5 billion into EdTech companies . EdTech innovation is likely to accelerate in the coming years due to educational institutions now accepting the introduction of new technologies. Innovative technology will offer more personalized approaches to education. Some benefits of incorporating innovative technology into education would be a more adaptive delivery of curricula, improvement of outcomes, and that it will better prepare students for tech-driven workplaces . With the national concern of the price of higher education, people are hopeful that innovative technology could reduce these costs. Additionally, the Research and Development (R&D) tax credit is available for companies that innovate in educational technology. Currently, only 25% of the K-12 schools in the U.S. offer computer science with programming and coding . According to the White House, only 28 states allow those courses to count towards high school graduation requirements. In addition to the funding for states and districts, Obama’s proposed initiative calls for $135 million to become available from the National Science Foundation and the Corporation for National and Community Service. The money would give states and districts the resources to train new and existing teachers to teach computer science, and build out the curriculum to make it strong and effective. The initiative has been gaining support from cities all across the U.S. in additional to support from big tech companies such as Google, Salesforce, and Microsoft. Massive Open Online Courses (MOOCs) are challenging the notions of traditional education. They provide low or often no cost access to what many people see as quality education to a broad range of people, many of whom cannot otherwise access education. The benefit lies in the ability to create large economies of scale in which students from all over the world are able to listen to lectures and engage in active learning methods such as blog posts, discussion posts, video responses, articles, tweets and tags. Even in Gaza where electricity is only available for six hours a day, students log on during that window to access learning services not otherwise available. Udemy, Inc. is an open, online marketplace where anyone can upload or share a class varying in price from around $20-$100. It was founded in 2010 with the goal of democratizing education. The classes on Udemy teach skills that ranging from learning to use Microsoft Excel to teaching people how to develop an iOS app. Some individual classes sell more than 150,000 enrollments. Furthermore, Udemy has become a platform for corporations, such as Goldman Sachs, to create customized training courses. Udemy is part of the growing MOOC movement available outside the traditional university system, and has been noted for the variety of courses offered. For the first time, a qualifying startup can use the credit against $250,000 per year in payroll taxes beginning on January 1, 2016. The credit is available for startups with less than $5,000,000 in gross receipts in the current tax year and no gross receipts in all years prior to five years ago. This new provision is particularly helpful for tech and life science startups with engineers, scientists, and software developers that are not yet profitable. 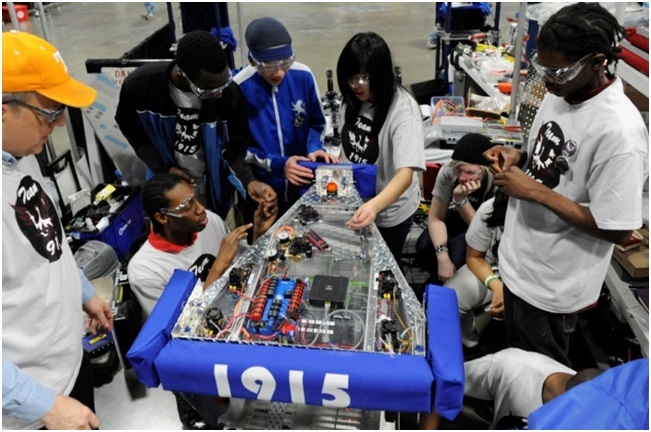 Future League provides students in grades K-8 robotics and engineering workshops. The goal is to expose children to coding and engineering skills at an early age so they can be experts in these programs by the time they are older and go to college. The classes that Future League provides are hands-on and project-based that use design thinking concepts adapted from Harvard and Stanford’s education and computer science departments. These workshops give students a great deal of project building experience in robotics and engineering. ByteKnack uses storyboard-style online lessons to teach students computer science. Powered by Artificial Intelligence, it serves as a learning assistant for students where the software can assess, in real time, what students are learning and when they run into stumbling blocks. The reason this startup company uses more of a storytelling approach rather than a gaming approach is because their goal is to get more girls interested in computer science. They have found that gaming-style lessons have proven more popular amongst boys than to girls. Therefore, they are hoping that these storytelling online lessons will encourage more girls to become interested in computer science. ClassTag is a tool to increase parent-teacher communication in the classroom. On a safe and secure platform, the startup’s app connects classroom parents and children to faces and names to create an atmosphere where parents, students, and the teacher get to know one another better. A student’s success in the classroom typically goes hand-in-hand with parent participation. Instead of sending permission slips, class activity information, upcoming test notifications, and classroom reminders in paper form, ClassTag brings classrooms the most up-to-date technology for calendar integration and automated technological reminders. It enables teachers to, for example, more easily track which parents have read homework and test announcements electronically. Overall, ClassTag allows classrooms to build communities and form relationships between teachers, parents, and children. Interestingly enough, founder Kyle Hudson launched Time Machine Tours with his winnings from the television show “Who Wants to be a Millionaire?” His goal is to visually get students as close to time travel as possible. Time Machine Tours is an app that utilizes GPS technology and historical images to enable people to virtually travel through time to see what a particular place or location looked like in the past. It enables students to learn by experiencing history rather than simply reading about it. The app originally started utilizing QR (Quick Response) code (barcode) technology, but now runs off Hudson’s proprietary GPS technology that allows users to pinpoint, within feet, where a photographer was standing when taking a photo. Through their schools, local museums, or libraries, students can build historical tours of their hometowns by using historical photos and the Time Machine Tours app. These tours can be shared through the Time Machine Tours community to share with other users. Additionally, Time Machine Tours offers a free iOS app that allows students to virtually “walk” through the streets of popular cities such as New York, Chicago, and Washington D.C.
Microsoft announced earlier this year (2016) that it would be expanding its investment in Minecraft, a popular game for children and young adults. Previously acquired for $2.5 billion in 2014, Microsoft announced that a new version called “Minecraft Education Edition” will become available in beta format starting in May 2016 . Microsoft plans on running a beta program with over 100 schools throughout 30 countries. These schools will be able to test this software in their classroom and help Microsoft by offering detailed feedback in relation to working out the kinks. This will allow Microsoft to make improvements ahead of a broader rollout. Microsoft will then debut an “early access” program in June, allowing educators to download Minecraft Education Edition for free (in exchange only for feedback). By then, this software will spread to 41 countries and be offered in 11 languages. It will continue throughout the summer while Microsoft teams with early adopters to build out lesson plans, share learning activity ideas, and create re-usable projects. Many schools are already using the game as part of their curriculum. As Microsoft noted in January, teachers in over 7,000 classrooms in more than 40 countries worldwide use Minecraft with their students today. Minecraft Education Edition is a tool for learning that can be used to teach anything from STEM subjects to arts and poetry . The purpose of Minecraft Education Edition is to help students learn by encouraging them to create, explore, and discover in the classroom. Apple acquired the EdTech startup LearnSprout, which creates software for schools and teachers to track students’ performance. 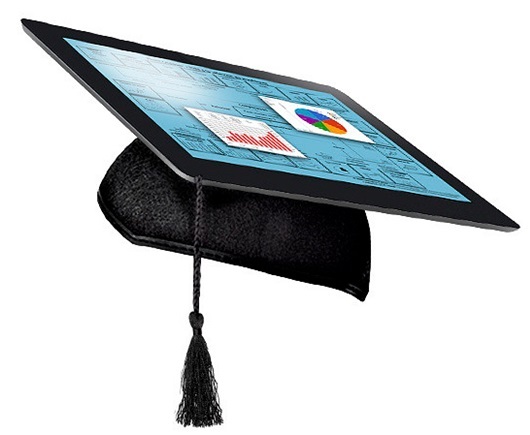 This will allow students to see interactive lessons, track their progress, and share tablet computers with peers. Apple is currently working on education tools for the iPad. The San Francisco startup has raised more than $4 million from investors, including Andreessen Horowitz and Formation 8 . The startup’s technology is being used in over 2,500 schools, 200 school districts, and 42 states across the country, to date. Sesame Street will soon use IBM Watson’s cognitive computing technology to personalize preschool learning experiences. This will be a three year collaboration that will utilize the knowledge and experience from teachers, researchers, and technologists to determine how Watson’s natural language processing, data mining, pattern recognition and other advanced capabilities would best offer preschoolers deeply engaging learning experiences. Research and development for this collaboration is currently in progress. IBM and Sesame Workshop have been testing interactive learning platforms and interfaces before releasing prototypes to key education and technology leaders. Sesame Street has spent more than 45 years researching children’s’ brain development to help them learn to their utmost potential. The company CEO, Jeff Dunn, says that the IBM partnership will take it even further. He stated: “Television reaches every kid with the same programming in the same way… but we know that kids learn differently from one another and that they need — and deserve — a new approach that takes each one of them into consideration.” This Watson-enabled learning platform seems to be the solution that will propel Sesame Street’s program into a meaningful, personalized education platform for children. The education industry can severely benefit from technological innovation. People who foster EdTech development could take advantage of the R&D Tax Credit by using the savings generated from the credit to further fund their research and advance their companies.